Jennifer Spies led Facebook’s product development for the Middle East and Africa, and has over a decade of experience building products that connect communities. Prior to Facebook, she served as a foreign policy advisor for Middle Eastern economic security and worked with Google.org in Rwanda. The Prosperity Paradox points to market-creating innovations as a path for growth and economic success. What are some of the African examples you cover in the book? Celtel (now Airtel) is a great example of an African company we profile in the book. 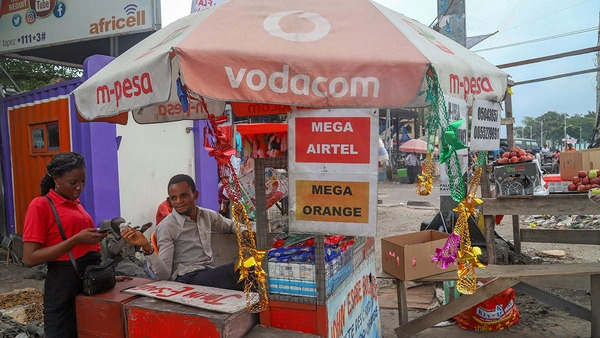 In 1998, the prospect of starting a mobile telecommunications business in sub-Saharan Africa was unthinkable as most Africans were very poor. But against those odds, Mo Ibrahim started Celtel, made the mobile phone simple and affordable for millions of Africans, and created a new market in the process. The mobile telecommunications market today adds roughly $200 billion in economic value, provides upwards of $20 billion in tax revenues, and has created close to four million jobs. That’s the power of market-creating innovations. We also introduce readers to Fyodor Biotechnologies, a company that makes noninvasive malaria tests, and Lifestores Pharmacy, which is increasing access to affordable drugs. These businesses all have one thing in common: their products are so simple, affordable, and accessible that they’re able to reach many people—allowing the businesses to prosper and the local economies to benefit from their growth. In a nutshell, what are the mechanisms by which market-creating innovations drive growth? When an organization creates a new market, three things happen. First, the organization generates profits which further fuel the market’s growth and provide revenues for infrastructure and institution building—typically by way of taxes. Second, the organization creates jobs. This makes people in a region more productive and causes crime to become less attractive since there are now better ways to solve problems. Third, the mixture of profits and jobs changes the culture of a region. When citizens begin to see that creating new and vibrant markets is a viable way to develop, a virtuous economic development cycle is created. Twenty years ago, many Western policymakers viewed African economic development as something solved by foreign aid. What are the book's implications for foreign aid in Africa? Perhaps the biggest problem with foreign aid is that, in a way, it works. Foreign aid can alleviate poverty. But poverty alleviation should not be the goal as most people still struggle to eke out a living even after benefiting from aid programs. Instead, foreign aid should change its focus to creating vibrant and prosperous societies, taking a page out of the foreign aid that was given to South Korea. It was described as aid that would end aid. In essence, the book focuses on how to create prosperity, which necessarily alleviates poverty in the process. What market-creating innovations excite you the most today on the continent? EarthEnable is a very exciting up-and-coming Rwandan company that provides affordable earthen floors to homes in the country. It costs about a quarter of the price of concrete floors. So far, the company has installed more than half a million square feet of floors in over 300 villages. Another exciting company is Microensure which provides insurance for millions of people who live on less than $3 a day. You have a section on corruption in the book. Can you elaborate on what you found about the role of corruption in African economies? In short, we found that governments would be best served viewing corruption as a solution, instead of the problem. In most low-income countries, efforts to eradicate corruption (which is a near impossibility) blind us to possibilities of making progress in other ways. The Prosperity Paradox sheds a light on how market-creating innovations can mitigate incidents of corruption and, over time, help create a more transparent society. What advice would you have for U.S. policymakers focused on Africa? Perhaps the biggest advice we have is to look at America's own journey to prosperity. As we describe in the book, less than two hundred years ago the U.S. looked similar to some of today's poorest countries. But it climbed its way out of poverty because it fostered a culture of innovation, with innovators like Henry Ford and Issac Singer creating new markets with affordable offerings. Policymakers can help African nations achieve the same progress by keeping their history in mind. It’s important to understand that prosperity is a process, not an event. Where Africa is today isn’t where it’ll necessarily be tomorrow.